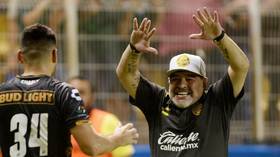 Argentine football legend Diego Maradona put recent fears over his health firmly behind him by breaking out into a celebratory dance with his team Dorados after their win at Correcaminos – during which he had been red-carded. 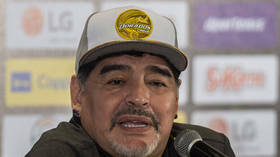 Maradona returned to the helm at the Mexican second division club toward the end of January, after being hospitalized earlier that month for a procedure to stop internal bleeding related to a hernia. 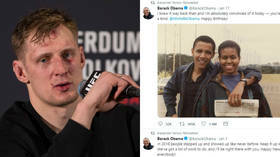 The World Cup winner, 58, later played down speculation over his well-being, saying: "I entered the clinic aged 58 years and left aged 50." 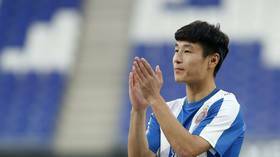 He appeared to put those fears even further behind him as he led Dorados to a first victory in three games on Friday, as they beat Correcaminos 1-0 thanks to a smart 12th-minute header from Fernando David Arce. 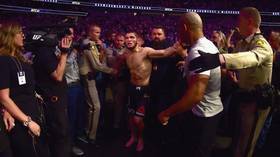 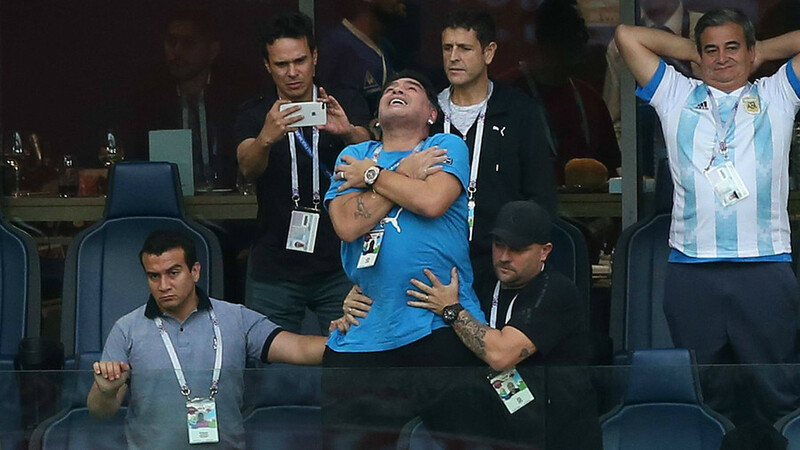 Maradona saw red on the touchlines late on in the game when he was sent off for frequently remonstrating with the referee – but that didn’t dampen his spirits in celebrating the win afterwards. 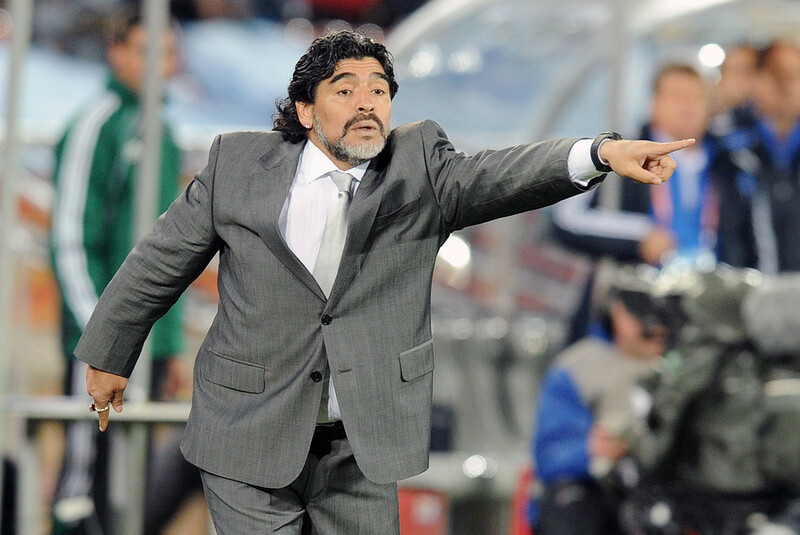 The former Barcelona and Napoli star was seen dancing with players in the dressing room in a video shared by Dorados. 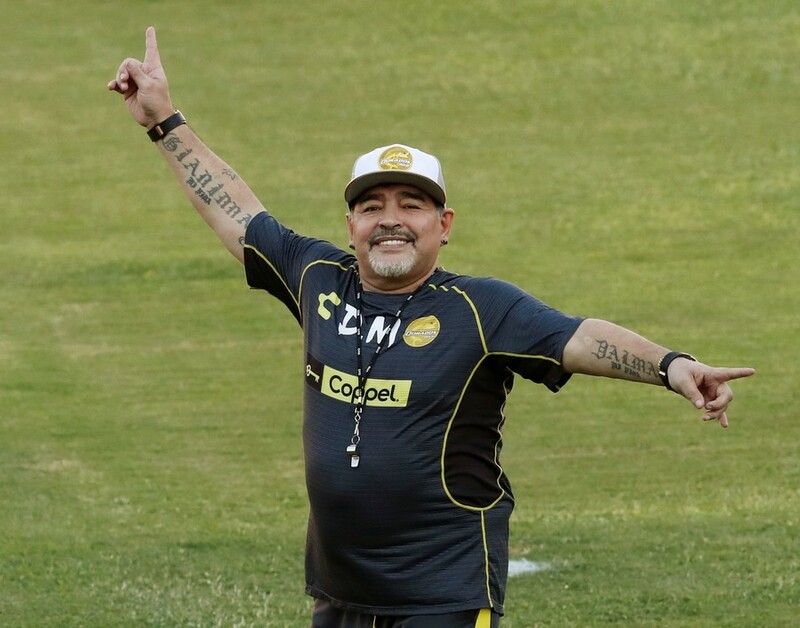 Maradona is aiming to guide the club – which is from Sinaloa, home to one of Mexico's most powerful drug smuggling gangs – back to the top tier of Mexican football for the first time since 2016.